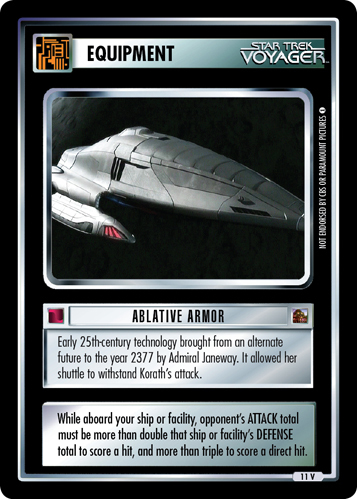 Early 25th-century technology brought from an alternate future to the year 2377 by Admiral Janeway. 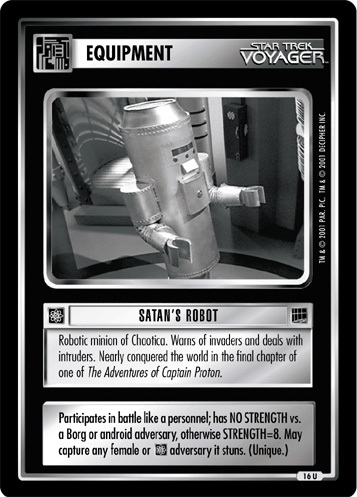 Quickly adapted for use on Voyager, enabling it to withstand the attack of a Borg cube. 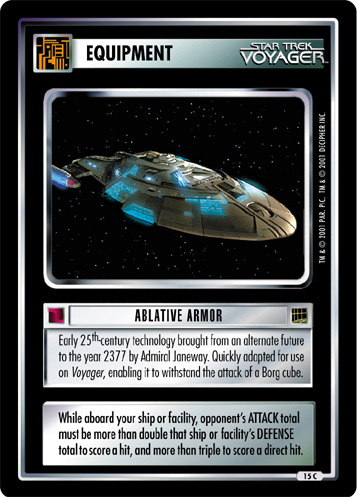 While aboard your ship or facility, opponent's ATTACK total must be more than double that ship or facility's DEFENSE total to score a hit, and more than triple to score a direct hit. 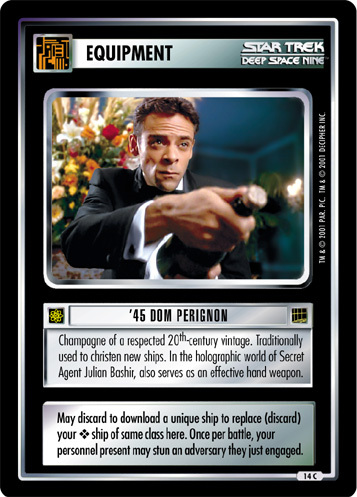 Image Source: Voyager: "Endgame, Part II"